Amazing! Fantastic! Incredible! Mighty! Um…Invincible! Spectacular! Ermm…Superior! Uncanny! Ultimate! It’s LEGO MARVEL SUPERHEROES! I don’t actually know if ‘Super Heroes’ is one word or two – so I’m just going to play it safe and alternate. Anyway, off we go. The Lego games in general set a high standard in family gaming fun. Back in the day, we had the immortal Lego Island 2, Rock Raiders and Lego Racers, to name a few. In the last few years, however, Lego have been focusing on licenced properties– from Star Wars to Harry Potter, Indiana Jones to Batman. 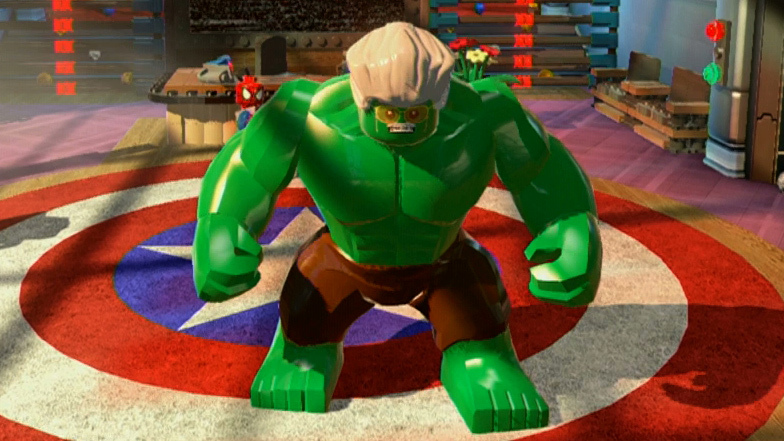 Lego Marvel Super Heroes marks the franchise’s first bite into the thick, creamy, sometimes nutty, Marvel universe. And what a great job they do. The game features an original story which, whilst it isn’t going to be the subject of deep discussions on internet forums, does provide a good few hours of entertainment. The story is pretty straightforward – Silver Surfer gets shot out of the sky and drops all of his lovely cosmic bricks. Loki, Doctor Doom, Magneto and various other villains band together to use these bricks for EVIL. Meanwhile, Galactus is heading to earth for a lunch date. It’s simple, sweet and somewhat silly, but it works. Gameplay follows your standard Lego game procedure – break EVERYTHING. If you have played any of the other franchised games, you’ll know how this works – proceed through the Story Mode, destroying what you can as you go, before returning to each level on Free Play with unlocked characters to cause havoc. Find minikits, collect studs, and rescue Stan Lees in Peril. The story is spread across 15 levels that vary in length, but generally take about 20 – 30 minutes or so to complete, depending on how speedy you are. Each story mission is pretty diverse, with every level offering a new, interesting environment to play in. There are also 11 side missions which, whilst pretty short, are enjoyable and result in a number of unique character unlocks, shining a light on lesser known characters such as Dormammu and Howard the Duck. Goddamn Howard the Duck… In between missions, you’ll be thrust into the Manhattan hub. Similar to the Gotham City or Middle-Earth hubs that we saw in Lego Batman 2 and Lego Lord of the Rings respectively (though imagine if they were mixed up. There’s some A* fan-fiction right there), this large map holds the keys to unlocking secret characters, missions and vehicles. You’ll probably spend more time here than in the actual story levels, as there is plenty to do – with more content being added as you complete more of the Story Mode. The number of characters in Lego Marvel Superheroes is very impressive. The roster – which includes over 140 characters, as well as various alternate costumes – is made up of your standard all-stars such as Captain America, Iron Man, Wolverine, Spider-Man etc., but it also quite wonderfully includes a menagerie of less mainstream characters like Black Bolt, Union Jack, Silver Samurai and Ronin. So, if you’re like me, you’ll enjoy getting your figurative (I hope) hipster hat on and running around screaming at things (see: Black Bolt). Each character comes with his or her own set of helpful, interesting special abilities: Mr Fantastic can stretch himself into a number of funky objects, Captain America can unlock special ‘shield’ locks, Mystique can shape-shift to bypass security doors, and Hulk…can smash. Of course, some characters share the same powers, but they all play differently, making them feel unique and important in their own special way. Apart from Aunt May. And Mary Jane. And Howard the Duck. Goddamn Howard the Duck… As well as characters, you can also unlock a large number of boats, cars and planes. But many of these seem redundant – flying characters eliminate the need for boats and planes, and the races that require cars are so easy that you might as well just highjack a standard taxi. As with all Lego games since Lego Batman 2, Marvel Superheroes features full voice acting throughout. Overall, it’s very good, with big names like Troy Baker, John DiMaggio and Nolan North make appearances. Oh, and Clark Gregg is in it playing Phil Coulson. Obviously. Why would you even ask? Despite the great cast line-up, some of the voices are a little…underdeveloped…in comparison to others. Take Loki, for example: Troy Baker does what can only be described as an amazing Tom Hiddleston impression, giving the character a lot of depth and realism. And then, starring opposite him as one of the main antagonists, is Doctor Doom, whose voice sounds like he is talking through a blender. You have Tony Stark, who has great clarity and eloquence. Then you have Magneto, who’s voice seems to alternate between pseudo German and English accents. Come on Nolan North, you can do better than that! At least in Marvel Superheroes his voicing of Deadpool was a lot more traditional, and not like it was in the hugely average Deadpool game – all gruff and rough. One slight criticism with this game is its level of ease. I know the primary audience for this games is younger children, but have you seen some of the things that kids these days build on Minecraft? Give them some credit! ‘Big’ characters such as Hulk, Thing and Abomination easily dominate when it comes to any form of combat, and Tony Stark has a suit for every occasion, meaning that if you find yourself stuck in a rut, you probably need to change to some incarnation of Iron Man and use his special ability to continue. This all makes sense, I guess, but there is just no real challenge. Some of the trademark mini kits in Free Play are a little tricky, but they can all be solved if you just think logically. As mentioned, the street races are all very easy, which your opponents accelerating ridiculously quick before slowing down, allowing you to casually drift passed whilst taking in the lovely slights of half-Lego Manhattan. The flying races were a challenge at first – these require you to navigate a flying character (probably Iron Man) through a series of pesky loops – but once you actually figure out that pressing A means ascend and B means descend, you’ve pretty much got it in the bag. Stan Lee, on the other hand, is quite frankly the best character in the game. 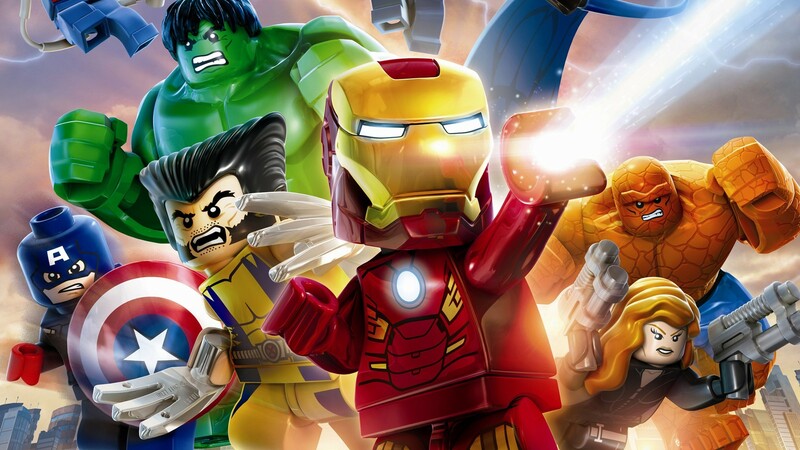 All in all, Lego Marvel Superheroes is a welcome addition to the Lego games family. It’s fun, whacky and full of Marvel comic and film Easter eggs and references. Whilst the Story Mode is relatively easy and not mega long, the real joy comes in Free Play, unlocking characters and just going around destroying shiz. Unlocking 100% will probably take you around 30 hours, and as with all Lego games, it features a drop-in drop-out coop mode, so find some friends and go nuts. 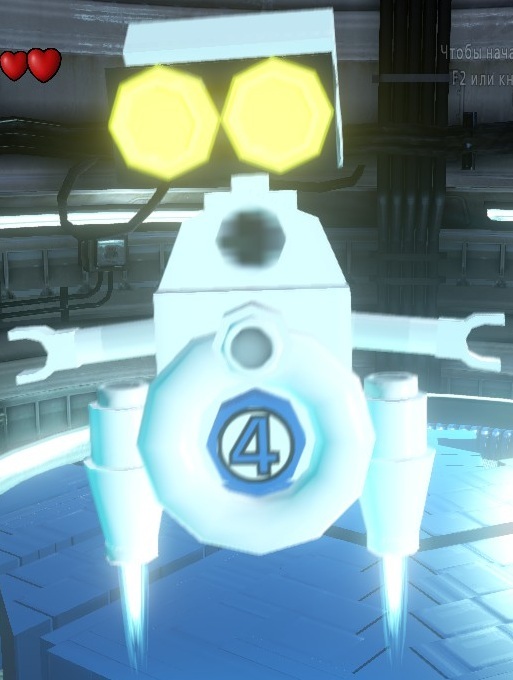 With the *SLIGHT SPOILER* Guardians of the Galaxy appearing at the end of the game, warning of an imminent threat, one can only assume that a second Lego Marvel Superheroes can will be on the way soon, and by gosh, it will be greatly anticipated! This entry was posted in Blog and tagged Batman, Captain America, Deadpool, Doctor Doom, Galactus, Guardians of the Galaxy, Hulk, Iron Man, Lego, Lego Marvel Super Heroes, Loki, Magneto, Marvel, Super. Heroes, Superheroes, Thor, video games, X-Men.